Oakland, CA. October 6, 2017 – AB&I Foundry has earned the International Living Future Institute’s Declare label. The ILFI created Declare, a ‘nutrition-label’ for products that provides a clear, elegant, and informative method to disclose a product’s ingredients, to provide product manufacturers the option for an additional level of confidence - third party validation from trusted third party verifiers. “Declare is designed to transform the way buildings are designed and built making them safer for occupants and first responders. 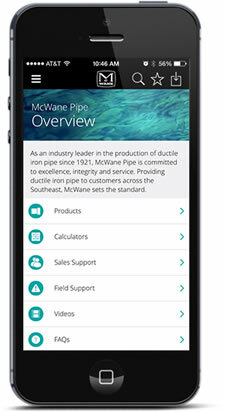 It’s through this kind of transparency that change for the better will occur,” said Kurt Winter, executive vice president of McWane Plumbing Group. AB&I knows that consumers and product specifiers are increasingly looking for transparency in products, whether it’s to verify point of origin, to understand environmental impacts, or to eliminate exposure to toxic ingredients. The manufacturing atmosphere is changing and there are many progressive forward thinking companies that feel strongly about embracing thoughtful sustainability manufacturing practices. AB&I Foundry is a U.S. manufacturer of cast iron soil pipe and fittings for storm and sanitary plumbing systems. Its products are non-combustible, strong and durable. It’s important that specifiers understand the importance of specifying building products that do not off-gas toxins or generate dangerous gases when burned. AB&I Foundry is pleased to be part of the certification program, advocacy tool and philosophy that defines the most advanced measure of sustainability in the built environment.